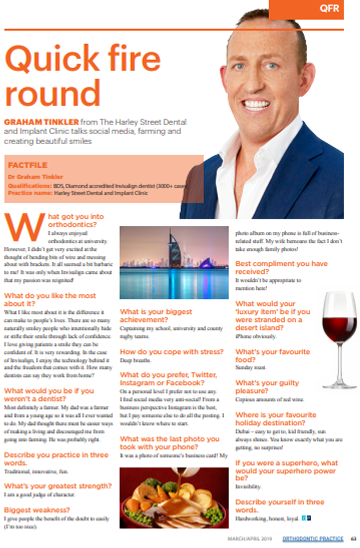 As well as being one of the UK’s leading and most experienced Invisalign dentists, Dr Graham Tinkler is also one of Bupa’s leading Invisalign dentists. Dr Tinkler splits his time between various Bupa clinics in and out of London. Dr Tinkler’s association with Bupa has come about because of his reliability, skill and dedication to Invisalign and because of his consistency in achieving excellent results. 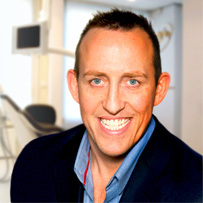 Dr Tinkler was one of the first dentists to receive his unique Platinum Elite status for Invisalign treatment in 2006. To date, no other dentist has pushed the boundaries of Invisalign in quite the same way. He has successfully treated numerous cases that were previously refused treatment by other clinics. His ability to see complicated cases through from start to finish with passion and precision sets him apart from other Invisalign providers. ‘The important thing to remember about orthodontics and Invisalign is that it is very much a technique and relies heavily on the skill of the provider as well as the compliance of the patient. Results therefore vary massively from one provider to another.